UFC 170 Ronda Rousey vs Sarah McMann Fight Pick | MMA Fighting Events Videos Techniques UFC Fight Picks and News. 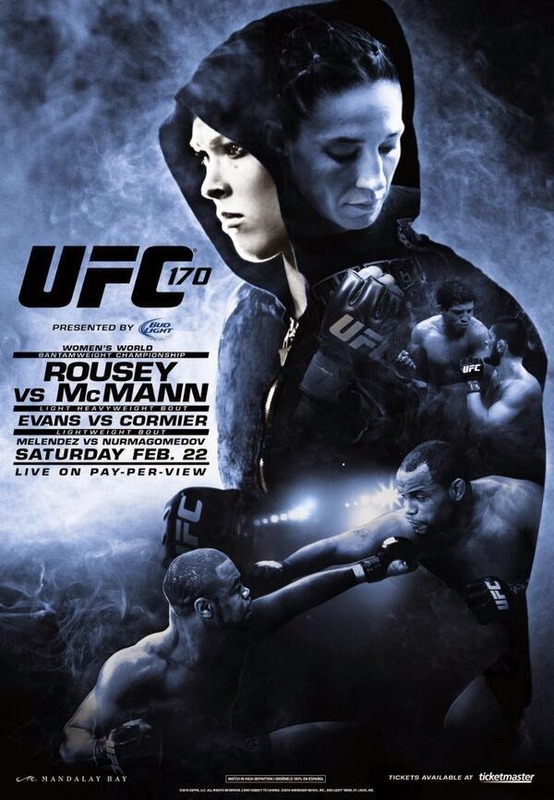 UFC 170 is going down this Saturday, February 22! It’s going to be Ronda Rousey’s toughest challenge yet! Sarah McMann comes in with the best MMA resume of any of Rousey’s opponents to date. McMann, like Rousey, is also undefeated! These two undefeated women will step into the UFC Octagon, but only one will leave with the belt and an unblemished record! I’ve gone 10-1 in the last 11 UFC pay per view main event fight picks and I’m confident that I will pick correctly once again! Let’s take a closer look at these MMA fighters and then I’ll make my pick. Ronda Rousey is an absolute beast! Love her or hate her, she doesn’t just win, she demolishes the opposition. In her last outing, Meisha Tate hung in tough, but she never posed a threat and the exciting moments where mostly her escaping Rousey’s early submission attempts. Rousey eventually tapped her out with an armbar submission just like she’s done to every other opponent. Rousey is coming in to this title defense at a perfect 8-0 with 8 armbar submissions. Also, keep in mind she walked through her amateur MMA career with three easy wins via armbar submissions as well. Now, she’s added a good looking stand up game to her already powerful grappling. McMann is a tough grappler herself though! Sarah McMann won an Olympics silver medal in wrestling. She’s since transitioned into MMA and comes into this fight with an impressive 7-0 record. Within those wins she has 3 submissions and a TKO! Ronda Rousey has not faced a grappler with the credentials that McMann possesses and that makes McMann a huge threat. With that being said, their grappling styles are a lot different. Ronda Rousey has a Judo background which includes submissions, whereas McMann’s background is in freestyle wrestling which does not have submissions. If McMann is successful on a takedown, Rousey will be able to defend a lot better than McMann’s other opponents. McMann has used more of a ground and pound style to win fights. Rousey have an arsenal of submissions from her back, including but not limited to her powerful armbar. Look for McMann to give Rousey a good fight. Unfortunately for McMann, Rousey is at the top of her game right now and she’s only getting better in all aspects of MMA. Rousey will win the fight! Most likely, by another submission. And probably, by another armbar!